Key Porter Books, 9781551682471, 190pp. Max and Marty's new adventure begins shortly after they board the train for Storm Valley. Their Uncle Jake has invited the boys to visit with him and attend the annual Winter Carnival. 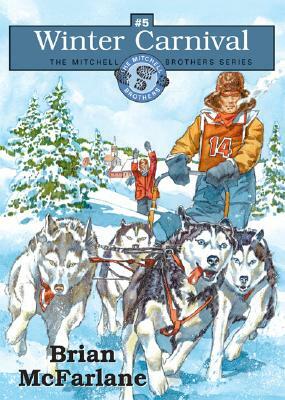 When Uncle Jake is injured in an accident, it's up to Max to substitute in the Carnival's major event -- the sled dog race. With their prize husky Big Fella as his lead dog, Max has a good chance to win, but the villainous Bummer brothers have other ideas.